Western breweries have come east both for distribution reasons and for the great access to abundant, quality water. The access to other ingredients isn’t quite as abundant — yet. The state of Virginia is looking to make it worth a grower’s while to start growing more hops as well as wheat and barley in order boost the growth of the state’s already booming craft beer industry. Specifically, a new bill is being introduced that would create a tax incentive for growers who sell ingredients to breweries. Growing hops is not easy, and since there is no demand for the crop beyond the brewing industry, some growers need a little something for the effort before embarking on growing this temperamental plant. Hop growing is a big investment and requires about three years before you might start seeing a return on that investment. Virginia could become the home to a lot more craft brewers if a proposed bill passes in legislative session. Currently, a lot of the state breweries are having to get their materials from out of state. What it would do is give growers a tax break on anything they sell to a craft brewery in the state. Peggy Donivan and Herb Atwall just started growing hops for craft beer a year ago. Senator Stanley told ABC 13 if this bill passes, Virginia could become the Napa Valley for craft beer. 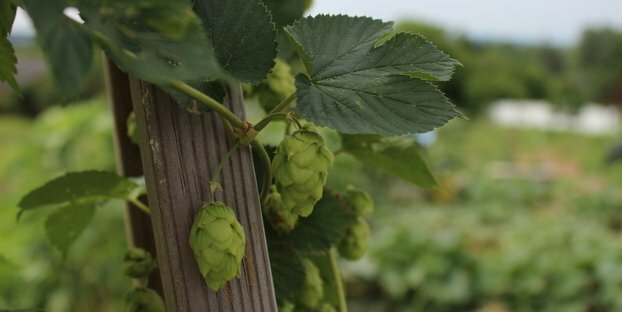 Farmers who grow hops, barley, wheat or malt, and sell it to craft breweries would not have to pay income tax on those sales. 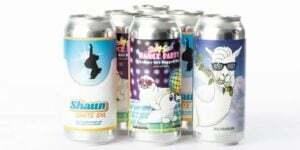 He said it will help promote more growers, and attract more breweries to the state of Virginia. It will be voted on in the upcoming legislative session. Be sure to watch the full news report above for more details and some thought from local growers and brewers. There are new local hop growing movements happening all over North America. As of now, this movement is tiny compared to the amount of hops the industry needs and the amount grown in the Pacific Northwest, but a bold incentive plan like this could definitely help ramp things up. We would like to see this spread, especially to the Northeast.